breakthroughs in test instrumentation, new ideas in components, and advancements in materials. 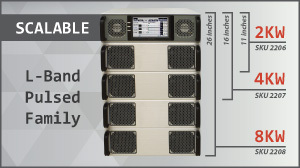 You have chosen the best EMC product for 2018! Congratulations to the Winner of the 2018 EMC Product of the Year Contest! AR has just introduced revolutionary solid-state field-generating systems for numerous radiated immunity applications. The AA-series consists of an amplifier/antenna combination in a single housing which can generate field strengths up to 50 V/m in two bands from 18 to 40 GHz. 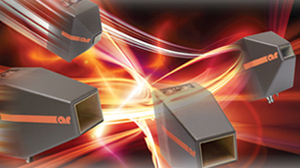 These products offer a low cost, more reliable alternative to traditional TWTA solutions. 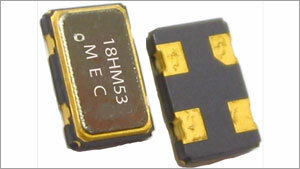 This Spread Spectrum Crystal Oscillator (SSXO) is a drop-in replacement for a conventional crystal clock oscillator that reduces EMI by an average of -12 dB. Custom frequency QuikXO SSXO’s can be ordered online and ship the next day. This fast, easy and economical EMI solution is ideal for many different applications, including Medical, Networking, GPS, Instrumentation, Peripherals and more. 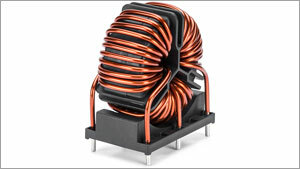 RT common-mode chokes are mainly used to filter EMI noise on AC power lines up to 600 VAC. EMI noise of electronic equipment can go to the power lines and disturb the proper function of other devices. These products target several market segments: Motor drives, high power medical devices, fast chargers & charging stations and switch mode power supplies (SMPS). 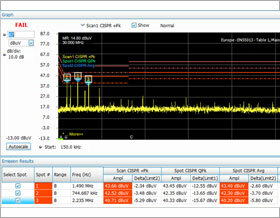 EMCVu is an all-in-one pre-compliance and debug solution for all Tektronix real-time spectrum analyzers. Features include: push button support for multiple standards, automated multiple measurement/multiple format reporting, environment calibration and comparison, harmonic markers and fully automated scans using peak detector including spot measurements with QP and average detectors.